Today, I am working with the first event that the school is hosting, and sooooo much of what I needed to take care of (that no one else had any idea about!) had been covered in the course. My work in this course has fleshed out much of what was theoretical or imagined before. I have learned so much…I am well prepared to face the challenges that will arise in my theater. I have been able to learn whilst creating the environment that I will be applying it all to. ...guess who is stepping in to help manage the auditorium?! ... I want to thank you again for the course as it has helped me prepare for the transition. We have traction for the district to reinvest into the facility. I've been able to gain knowledge and awareness that will benefit our Learning Center going forward. It's also been enlightening hearing from the cohort as we shared challenges and triumphs…The lessons that have been most valuable to me are the ones regarding safety and CTE. We have also discussed safety, which is a huge part of Tech Theater…The discussions and readings for this course have really validated how much value an arts and technical education can provide for our students. With success like this, you could help spread the success to high school theatre teachers and staff. BECOME A TMT COURSE TRAINER. ARE YOU A HIGH SCHOOL TEACHER WHO HAS BEEN CHARGED WITH MANAGING YOUR THEATRE? ARE YOU A HIGH SCHOOL THEATRE MANAGER WHO WANTS TO FURTHER DEVELOP YOUR OPERATIONS? 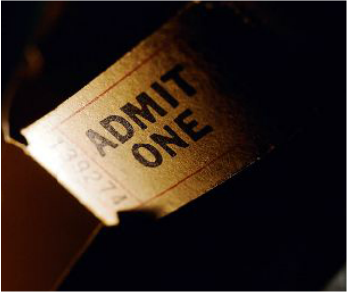 ARE YOU A THEATRE TECHNICIAN WHO WOULD LIKE TO GO INTO MANAGEMENT? ARE YOU A COLLEGE STUDENT WHO WANTS TO GO INTO HIGH SCHOOL THEATRE MANAGEMENT? Contact us for a complimentary syllabus. ALREADY TAKEN THIS COURSE AND/OR HAVE 3+ YEARS EXPERIENCE AS A HIGH SCHOOL THEATRE MANAGER? Typically those hired to run a high school theatre come from a wide variety of backgrounds. Some are performing arts teachers who have expertise in education, literature, directing, acting, voice, music, dance, etc, but have no experience in technical theatre and business management. Some are technicians who are from community or professional theatre backgrounds, but have no experience in the educational world or business management. Some come from private sector entertainment management backgrounds, but have no experience in education or technical theatre. People with backgrounds in any one of these three disciplines - tech theatre, management, education - can develop the knowledge and skills in all areas to better qualify them to manage a high school theatre. WHY IS HIGH SCHOOL THEATRE MANAGEMENT SO ESSENTIAL? There has been a movement across the country in which junior and senior high schools are being built or remodeled with a state-of-the-art theatre on campus, yet this is done without thought as to how they will be run after they are built. 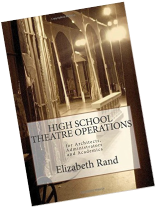 Once school administrations realize they need someone to manage their school theatre there are no systems in place, and high school theatre management becomes a hodgepodge of trial and error. School districts increasingly need highly qualified management to set up operating systems, create safety programs, maximize student learning, and determine building performance. Because of this trend, High School Theatre Management expertise is a growing necessity. Theatre Management differs from Stage Management (which is offered by many universities). Stage Management is the management of a specific play or event that comes into a theatre, whereas Theatre Management is the management of the theatre itself into which plays and events come. High School Theatre Management is fast becoming an essential specialty. Currently no known universities offer a course, certification or a degree in High School Theatre Management, which encompasses all the disciplines of tech theatre, education and business management – UNTIL NOW. ​Click here to download Registration form. The Theatre Management Training course is a rigorous 10-week online course. After successful completion of the training you will receive the PRESETT-Certified High School Theatre Manager certification. This course is semi-self-paced. Assignments are due each week, but within each week you can do your coursework at times most convenient for you. Participating in this course will place you into a virtual group of people just like yourself who want to learn more about High School Theatre Management. Cohorts are limited to 8 students. ​NEW! Can't find the time to join a cohort? Sign up for an INDEPENDENT STUDY COURSE. Whether you want to become a High School Theatre Manager, or are already manage a high school theatre and want to develop additional skills and knowledge in order to further develop your operations, this course is for you! Cohorts need 3 students minimum and are limited to 8 students. A $50 Registration Fee reserves your place in the cohort. NEW! Can't find the time to join a cohort? Sign up for an INDEPENDENT STUDY COURSE. START DATE: PLEASE CONTACT US FOR NEXT START DATE. ​Contact us if you would like to be informed when the next cohort starts, or if you have a group of 3 to 8 who are interested in taking the course together. INDEPENDENT STUDY COURSES start on your schedule. ​Concerned you'll be in tech during one of the weeks of the course? ​No worries. If 'tech happens' we can adjust your assignments accordingly!